Have you ever looked back and realized you should have asked a question that you didn’t? When you have a busy day that can change at the drop of a hat it’s easy to let something slip your mind. However, as an Account Executive or Project Manager, nothing should get by you. Having to go back and ask questions you should have during the initial meeting, takes valuable time away from your day and may diminish your credibility with the client. To help ensure a smooth start to each of your projects, I’ve put together a series of lists of questions to ask your clients when beginning a new project. Since there are a variety of different projects you will be managing, let’s start with one of the most basic – the brochure (future blog posts will address other projects). For the purpose of this post, I will be talking about the design and development of the brochure. Look for my post next week to read about printing it. 1. 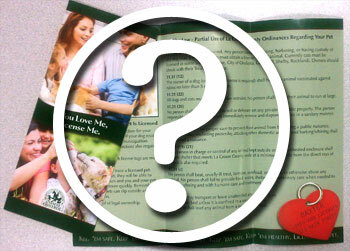 What is the purpose of the brochure? – Be sure you understand what the goals of the piece are and what the company wants it to say about them. The answers to these questions will give direction to the creative team. 2.Who will be reading the brochure? – Depending on the audience, the writing style and content will vary. For example, if the audience is current customers, you may be able to give a top level overview of certain areas, as they are already familiar with the company and the services they offer. However, if it’s for new customers, they may have no pre-existing knowledge of the company and what they offer and may need a bit more information. 3. Do you have existing copy? – Once you determine what they want the brochure to convey, you will need to determine if there is copy from a pre-existing piece that can be modified, if the client will be writing and supplying it, or if copywriting is required to generate content from scratch. 4. Do you have existing images? – Discuss with the client whether or not they have images they can supply, if you will be doing custom photography, or if stock photos will need to be purchased. If stock photos are needed, be sure to account for that in the budget. 5. Can you send me a high-resolution version of your logo? – If you do not already have one, you will need to obtain a high-resolution logo file from the client. Pulling one from their website or any electronic piece will not provide a high enough quality for printing. If they do not have one, you may have to re-build it. Every project is different, and therefore there may be additional materials you need to gather and questions to be asked of your client to ensure the piece is on strategy. With this simple list however, you will have the basics covered and will be able to hit the ground running on your next brochure project. Do you have any other tips to help a brochure get started and completed as best as possible? Share them with us here.